Happy Holidays: How Brands Can Leverage Novel Holidays to Get Noticed. Home – Happy Holidays: How Brands Can Leverage Novel Holidays to Get Noticed. Chances are high that you’re reading this on a holiday. Whether it’s something fun like the International Pancake Day (March 12) or a day with a bit more weight such as World Malaria Day (April 25), hardly a day passes by that isn’t noted for a national or international observance of some event, hobby or anniversary. That means that no matter what product or service your organizations offers, it’s exceedingly likely that there is a day or two every year for your brand to use the calendar as a way to get the public’s attention. What that looks like and where that plays out—on your own social media channels or as a featured segment in the news—depends on the popularity or notoriety of the day and the planning and execution you put behind it. We’re unofficially declaring today the unofficial International Day of Made Up Holidays, and to celebrate here are three tips to get you going on your own holiday adventure. 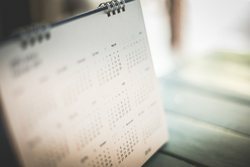 Unless you want to be on the sidelines with an impromptu celebration of Awkward Moments Day (March 18), it’s important to identify relevant days of observation several months beforehand so that you can plan your media strategy accordingly. There are many online resources available to make this easy. For days that carry a bit more reputational weight behind them, the United Nations publishes an annual calendar of international days of observations. These typically revolve around matters of global importance to mark or commemorate historical events and achievements, or to promote awareness for ongoing global initiatives. The list is diverse and backed by U.N. resolutions voted upon by member countries. On the other hand, other websites research and identify less “official” holidays and observances that tend to be a bit sillier in nature. These may not have the weight of international legal resolutions behind them but they still tend to have some sort of following around the world. If you’ve checked all the resources and still find yourself yearning to celebrate an occasion that just doesn’t exist yet, there’s really nothing stopping you from taking a leap and creating a holiday or observance of your very own. To add legitimacy to your desired observance, you can reach out to members of a city council or mayor’s office (or your local equivalent) for support in making the day officially recognized. This is a great tactic to employ if you’re observing an event or milestone that has local or regional impact. This can include things like a new capital investment that will generate new jobs, a major anniversary milestone or expanded product offerings, especially if that product is novel or attracts a strongly dedicated fanbase. Local officials who have the authority to declare or support the declaration of official observances are benefitted by associating themselves with the project and organizations benefit from the ability to leverage the officially declared event for publicity. With so many holidays and observances assigned to days throughout the year, there can be a certain amount of fatigue associated with the celebrations. To stand out among the crowd of celebrants—and an audience that can be largely apathetic—do your due diligence in researching and analyzing how the media and public have responded---or not responded—to similar events in the past. Media monitoring services like NewsDesk can be employed to run searches around phrases keyed in for specific holidays and observances. You can also be specific in outlet type, with narrowed searches in either mainstream news outlets or trade publications that are more industry specific. Don’t spend all your time looking at earned media coverage, however, as many “viral” holiday hits first gain traction on social media. The right hashtag coupled with a clever enough idea or stunt can get people talking. If you need inspiration for just how quickly people can flock to the wacky or extreme, just check out this campaign built around National Unicorn Day (a made-up holiday based on a made up animal—that’s a new one!) that was promoted by a breath mint brand. Adequate media research to glean inspiration and uncover best practices can inform a strategy built for executional success. Unlike more mainstream holidays, however, don’t stick with tradition and merely copy or repeat the tactics of a past celebration—bring something new each and every year. It’s the novelty that these campaigns bring that really give us reason to celebrate.